I guess all of you have tried this kind of activity on your bike. We are talking about biking at intensities that can only be maintained for a very few minutes or maybe just seconds. These jumps require anaerobic power which can be trained separately in your training program. There are made several tests to measure maximum oxygen uptake in the lab, but unfortunately there are no similar possibility to measure anaerobic power. Thus, we have to develop indirect methods to evaluate anaerobic power. I think that testing with a power meter will be the best evaluation of anaerobic power for most riders. Find your average power output in a 60sec. all-out test. One of the biggest myths about anaerobic power is that lactate is responsible for the fatigue. Lactate is just a piece of sliced sugar and a couple of studies have shown that lactate itself does not produce fatigue, in fact one of the studies I will present in the future claims that lactate actually protects the muscles from fatigue. There are probably many reasons why we determine exercise at severe intensity. Road cycling is an aerobic discipline with more than 98% of the work covered by aerobic metabolism. Thus, most cyclists don’t offer much attention to training of anaerobic processes. They train for aerobic power and focus on lifting up their anaerobic threshold. Having a high VO2 max and a high anaerobic threshold are the two most important physiological factors with impact on your performance. Nevertheless, many races have breaking points were anaerobic power is essential. If you don’t have enough anaerobic power, you will not be able to drop the riders behind you. What you need is anaerobic power that gives you extra punch in your attacks. If you feel comfortable during the race, just waiting for the moment to attack, then unsuccessful attacks might be caused by insufficient anaerobic power/sprint. What happens is that the whole bunch reacts when you start to jump and catch you quickly because there is not enough punch in your jump. Also the other riders may be extraordinary aware of your attacks since you have showed that it’s not a problem for you to stay in the group. Focused anaerobic training with a power meter! Anaerobic training has never been easier than now. Power meters make it so much easier to produce the correct workload during the intervals (pacing control during a 40second interval is really difficult without a power meter). If you have been riding on track, you will know how much influence pacing control has on performance. I guess that we all have tried to start out too fast on time trials on the roads, but what I try to say, is that hurts so much more when it happens in short events like a 1000m or just in a short interval. If you are not able to maintain watts in the end of a interval, I’m pretty sure that a power meter will help your pacing and after a couple of months you will see that your training is more effective and gives better results. I have made a program for anaerobic training that could be used to develop a higher level of anaerobic endurance. This program is a part of the indoor training programs. 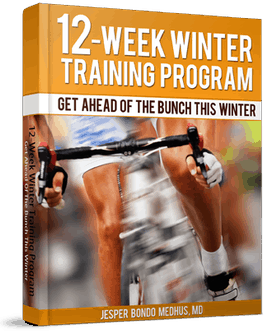 This program is designed to increase your anaerobic capacity. During the intervals the body is exposed to enormous amounts of anaerobic metabolites. After only a few of these sessions your body will be better to work at an anaerobic environment. This skill is primarily used in competitions, where jumps and sprints demand anaerobic efforts. This art of training is very exhausting and therefore it should primary be used for competition preparation. I am seeking a way to become more efficient on a rock climbing route. Sometimes routes can be anywhere from a 100ft to 140 feet. Climbing at a consistant rate of 20-30 minutes. I am wondering if anaeroobic endurance program could effectively help me in maintaining a longer tolerance for delaying/improving fatigue? I don’t think you shall focus to much on anaerobic endurance for such climbing. 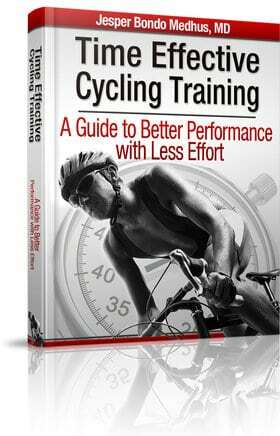 It is better to build a large aerobic engine thus improving your 5 and 20-30min maximum power. The higher percentage of your work delivered by aerboic processes, the longer you will delay fatique. Anaerobic work might help you in short attacts or bursts during the climb, but the primary focus should be aerobic performance (vs body weight). What do you mean “maximum intensity”? Max. Intensity means heavy load but slow tempo. But it can also mean lighter load but faster tempo. You just have to make your bike roll as fast as possible. If you have a power meter then try to maintain as high a power output as possible. If you do the intervals on a track it could be e.g. 3 rounds of 250m = 750m as fast as possible. I was wondering if you are interested testing out any programs/ideas geared towards Cyclocross? It’s pretty much all intensity, but quite a bit of up down, up down regarding max intensity. I’ve developed a pretty successful HR program and just transfered it to power last year. Basically the specifics of the power produced the best year ever, with some garnering of UCI points. If you do another “project” keep me in mind….cyclocross is the fastest growing cycling branch JFYI. Great site and great information. I am a 45 year old and cycling with a local club. My maximum distance to date is 200km. I find I can cycle quite long distances (for the 4 months I have cycled) at my own pace 16mph. But when it comes to hills it takes it out of me. There is one hill in particular I cant get up (but will). I just get to the stage where I cant get enough breath in to keep going and my legs explode. This is the only hill I have ever let beat me. It is steep. I just want to know if this is down to anaerobic capacity of aerobic so I can know what to develop most to beat this hill. Thanks. Anaerobic capacity would be the prime factor in determining your success on this hill. Anaerobic exercise focuses on short bouts of intensity, it is muscle strengthening exercise and it will heavily affect your performance. By increasing your anaerobic capacity and subsequently increasing your muscle mass, you will have more strength which is what you primarily use on hills. When going on a hill you don’t go at your regular pace, you are working at a higher VO2 relative to your personal performance, anaerobic training focuses on giving you more power and will increase your ability when working at a higher VO2. I would highly recommend it in your training, in all of the studies done it has only helped and never hindered performance. After anaerobic capacity training, is it beneficial to do gym workout; squat etc., or does it reverse the positive effects of anaerobic capacity? What is your comment about the relationship between anaerobic exercise on bicycle and bike off weight training? How to Ride Strong All Season Long: Don’t Get Hurt!